Aigars Bikše took part in Rikuzentakata Artist In Residence program 2017 from September through October. Focusing on the restoration of the urban space through expression of art, the program encourages interaction with the local community and a “hands-on” participation in the urban renewal. Particularly Japan’s AIR programs are designed to address the matters of the local area, culture and tradition. On the 11th of March, 2011 a magnitude-9 earthquake hit eastern Japan and a subsequent 17 meters high tsunami followed destroying most of the city and leaving the community devastated and scattered. Following the catastrophe, the government put efforts in building extensive tsunami-defense mounds to prevent further disasters. Yet, the local population experiences and expects these catastrophes to happen once every century as part of the natural cycle. The values of Shintoism are embedded in the local culture, forces of nature being at the very heart of this ideology. Here the governing bodies and long-established religious belief system coexist and often enough become juxtaposed. Personal interest in mythology and mythological beliefs brought the artist to participate in this project. One story in particular caught his attention and constitutes the concept of the project. An elderly man who had survived the tsunami recalls lending his back yard to a local shaman to perform a ritual shortly after the catastrophe. Having seen the wave and barely escaped by running up-hill, the man was wondering how he had managed to escape. The Shaman suggested it might have been the protection of the fox in case he had built a temple for one. And, indeed, shortly before the city was flooded and destroyed, the man had built a small temple-like burial place for a fox he had found lying in his yard. On the other end, instances are reported of people being lured into the forest by a fox. It is still commonly held that the fox possesses magical power and can protect people same as cheat and lure them away by changing its appearance into human-like. The local mythological beliefs find their way into the everyday practices of the local community and to some extent mediate the lives of the people of Rikuzentakata. 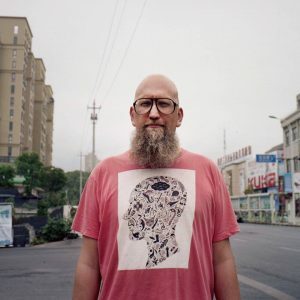 At the same time these beliefs overlap with the modernity and industrial influences from outside, such as the preventive government actions not fully understood and accepted by the community that values the nature above all. 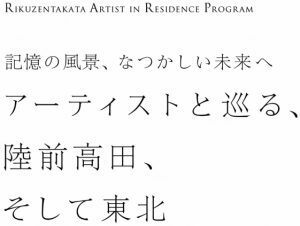 The end-project seeks to combine the encounters of the residency in Rikuzentakata. 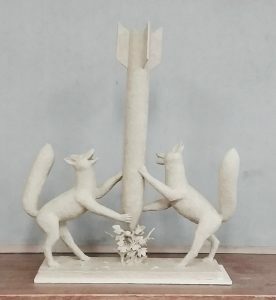 In the work Mythology and propaganda; foxes playing with a mediocre space rocket two foxes representing the mythological beliefs still prevalent in the modern-day Rikuzentakata are combined with what stands for potential danger – a mediocre space rocket. The course of history presents old beliefs with new struggles caused by new advancements and ideologies whereas either one of these has to conform and be brought up to date. 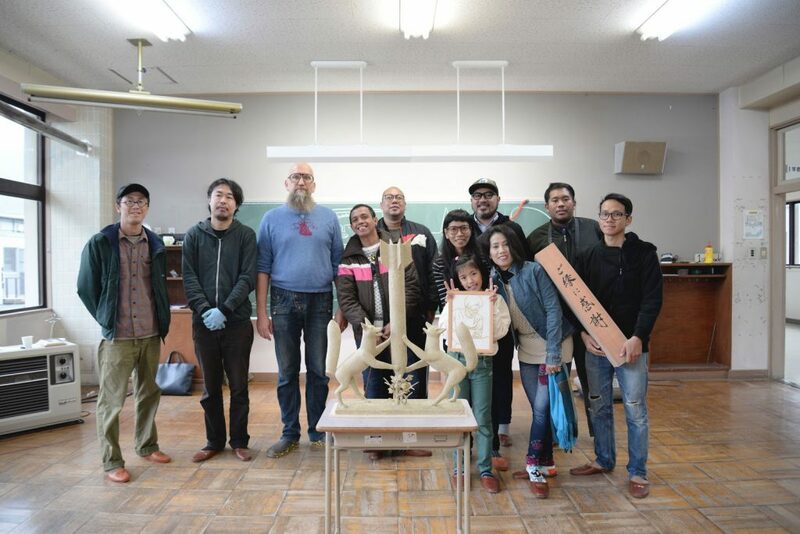 Participation in the AIR program in Rikuzentakata allows to see how Art-led community revitalization is indeed possible and rewarding.